John Chambers, a former prosecutor in the Brooklyn District Attorney's Office, marketed himself as a top firearm licensing attorney in New York. John Chambers leaves federal court on Apr. 19. Photo: Jefferson Siegel/New York Daily News. 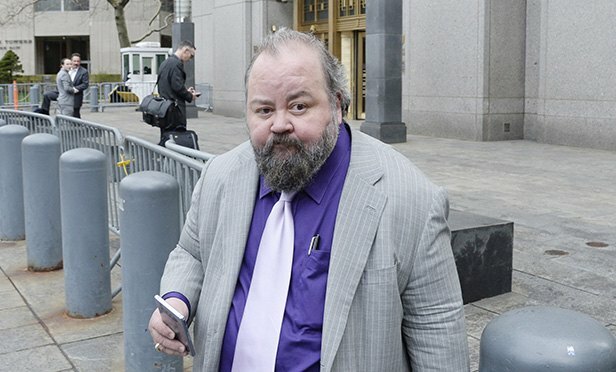 A former Brooklyn prosecutor was found guilty in Manhattan federal court Tuesday for his role in a police gun licensing scandal that stretched all the way to the office of Mayor Bill de Blasio.